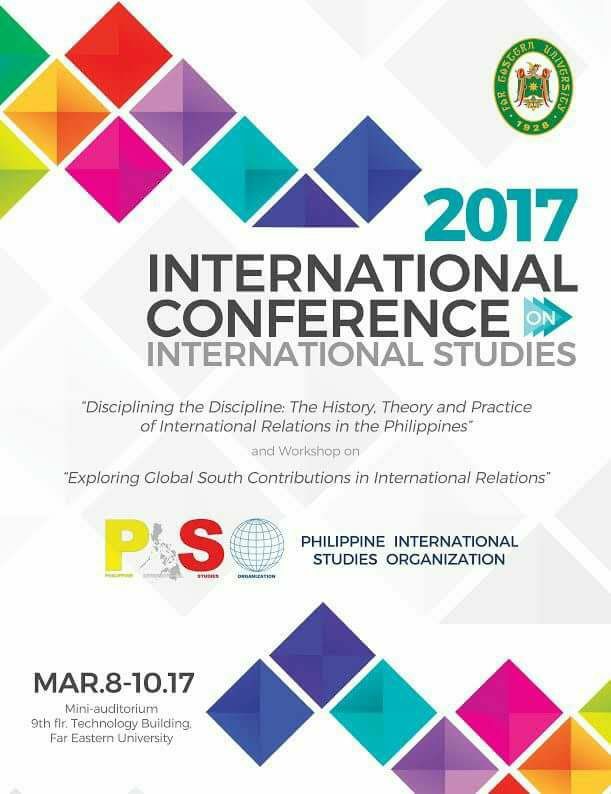 When we began to plan for the first PHISO Conference, we wanted to create opportunities to reflect on the understanding of and engagement with the ‘international’ in the Philippines. The desire to talk about the international, as well as how one can begin to ‘think’ about the international, was evidenced by extended discussions throughout the conference on the role of Filipino scholars, practitioners and institutions in shaping the field of International Relations. Despite a relatively short history, International Relations, International Studies, and related courses are offered throughout the country and sustained by significant numbers of enrolled and prospective students. At the same time, with varied perspectives on the contents, goals and potential career paths of IS or IR programs, there are significant challenges in identifying a standard set of core courses and skills that can characterize how IR, IS and related programs are structured in the local setting. As part of the larger research agenda of PHISO to explore and make known Global South contributions and issues in International Relations, I am pleased to note that in many panels, there were discussions on the ‘margins’ of IR, an exchange of ideas on the relationship between theory and lived experiences, and an emphasis on historical continuities and discontinuities that have yet to be explored within the framework of Global IR. For instance, panels focusing on non-state actors and critical perspectives on security were able to capture the historical and institutional specificities of the ‘international’ in a region that is beset by transnational issues and non-traditional security crises, and where global forces are frequently transmitted and ‘felt’ through agents other than the state. We are also grateful to the ISA Global South Caucus (ISA GSCIS) for sponsoring a workshop on Global South contributions in IR. The participants of the workshop were able to share their views about the challenges that Global South Scholars face in terms of time for research and publishing opportunities on one hand, yet also the role of theorizing and strengthening knowledge about and within the Global South itself on the other. During the workshop, we were presented with a diverse range of views about the ‘international’ from the Philippines, Iran, India and Southeast Asia and how these compare to prevailing norms in IR. This is the first step towards a continued conversation with the stakeholders of IR within the country and across the world. On its part, PHISO will conduct activities throughout the year to help publish and impart the valuable lessons we have learned from our participants. We are very thankful to our host institution, the Far Eastern University, our partner, The Department of International Studies, the ISA Global South Caucus, the FEU International Studies Society, our keynote speakers, Prof. Dr. Clarita Carlos and Prof. Herman Kraft, and all those who presented and participated during our first conference. We look forward to seeing you all again next year in Davao! For more photos, please click here. Announcement from the host institution (click here).